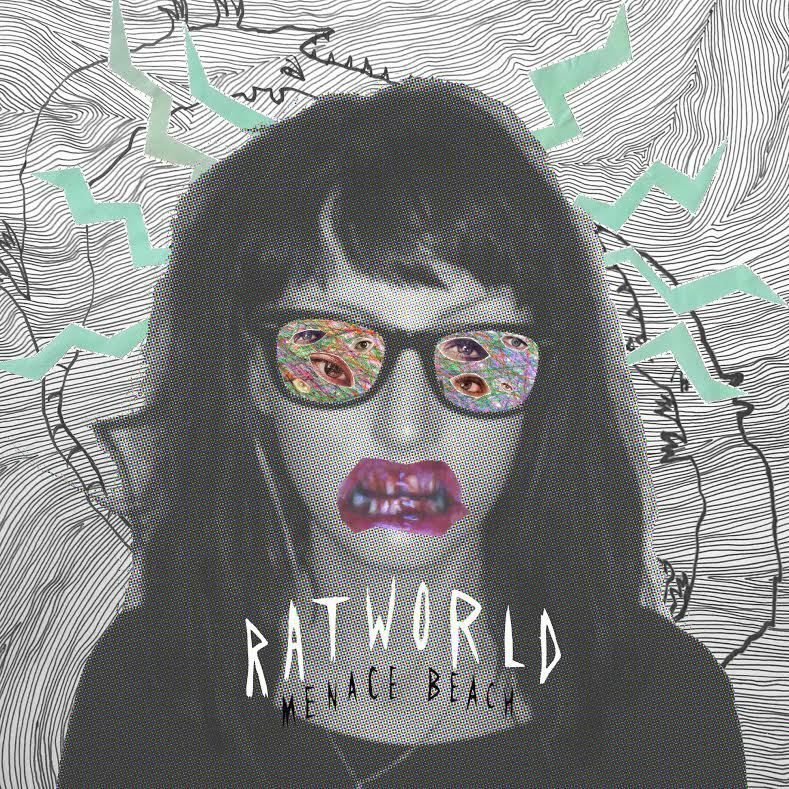 If you’re into new music, it’s likely you’ve heard of Menace Beach. Formed only in 2012, in the past two years (and a bit), they have quickly made a name for themselves and their eccentric psychedelic rock. They’ve been hailed as one of the 'ones to watch' by what seems like all music publications, including NME, DIY and Drowned In Sound. On top of that, Nestor Matthews (Sky Larkin), MJ (Hookworms) and Robert Lee (Pulled Apart By Horses) have all had a little dabble in Menace Beach, making them something like a super group. With all this in their back catalogue and the initial cynicism towards any band who receive such critical acclaim without even putting out an album - it’s difficult not to expect a lot from their debut. But it does not disappoint by any means. It’s not very often that you listen to an album and get completely blown away by every track on there. Ratworld is one of those albums: it's enchanting, magical and just down-right superb. It’s easy to find yourself drifting into a state of nirvana when listening to the likes of ‘Elastic’ and ‘Lowtalkin’ - becoming completely oblivious to the world around you. ‘Come On Give Up’ opens up Ratworld with wonderful indie hooks dipped in psychedelic gold. Ryan Needham’s vocals are wrapped in a blanket of fuzz that bounce off the dreamy guitar and bass of the opening track, making that distinct and unique Menace Beach sound. Singles ‘Drop Outs’ and ‘Tennis Court’ add a dash of familiarity to the album, whilst tracks like ‘Ratworld’ act as a reminder that bands can actually make good songs that aren’t just singles. ‘Blue Eye’ is one of the many stand-out tracks on the album. There are some moments of pure beauty and tranquillity across Ratworld, and none more so than ‘Blue Eye’. Written by Liza Violet, the song touches on insecurities and lack of self-worth, something that’s I find hard to believe as Violet’s divine vocals swim effortlessly through the white noise. The most wonderful thing about this track is that it doesn’t follow any conventions whatsoever. Violet’s magnificent vocals are strangely perfectly in tune with the distorted guitars and, together, they manage to create something utterly mind-blowing. ‘Blue Eye’ flows like a daydream into ‘Dig It Up’ and is only slightly interrupted as Needham sings, “I’m on a comet; I want to come back down”. ‘Tastes Like Medicine’ and ‘Pick Out The Pieces’ give a taste of summer with their shoegaze-y sound and act as a reminder that there is nothing this band can’t do. It would be dangerous to attempt to categorise Menace Beach into a specific genre or compare them to other artists because there is something so invigorating about this band and that euphoria shouldn’t be lost amongst comparisons with others. They give you a touch of the unexpected with everything that they do and create something so idyllic. Nothing about Ratworld is boring or ordinary. It has a spark that burns through the album right until the final tracks ‘Infinite Donut’ and ‘Fortune Teller’. When describing the album, Needham says, “We’ve created our own little grubby Ratworld to inhabit.” but from listening to Ratworld, it certainly doesn’t sound grubby at all. It sounds like a tropical paradise full of wonder and awe. In fact, I’d quite like to live in this Ratworld.